Lowdown: A philosophical discussion on lying and its damaging repercussions. 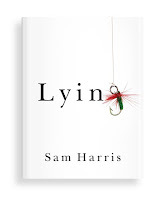 Like Christopher Hitchens’ The Enemy, Sam Harris’ Lying is a $2 Kindle Single. This means it’s an essay, far from book length, that's written by the fellow horseman of the anti apocalypse; who cares if neither’s subject matter has much to do with the analysis of religion that won both authors much of their acclaim? The Kindle Single format is not bad at all, offering me quality time out from the lengthy book I’m currently reading (a Christopher Hitchens book, of course). Harris’ essay starts with his conclusion. Lying, he argues, is always bad and at least in all the cases he looked at it should have always been avoided. He then moves on to explain: he defines what lying is (in a meaningful, non dictionary like manner), and then he sets out to explore different forms of lying. By analysing the thinking behind the lies and the repercussions of these lies, he clearly points out lying’s damaging effects on both liar and victim. Even white lies, where we lie because we think the person lied to will benefit, get knocked by Harris’ hammer. Harris' conclusion is simple: the person who tells no lies lives a happier life, one that is unburdened by the weight of lies. Generally speaking, Harris and I are in agreement. The life of a truthful person is the easier life, one of the main reasons why I aspire for truthfulness and transparency: I’m a lazy person at heart, a person who openly asks others not to share secrets with him because of not wanting that extra load to carry. 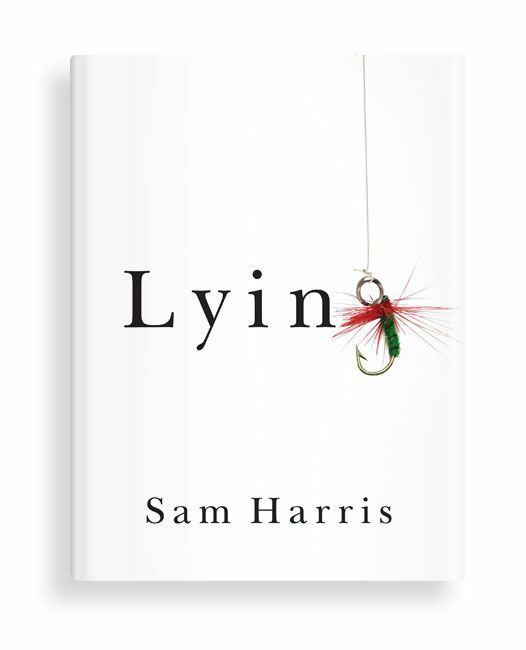 It is exactly because of my general agreement with Harris that I have a problem with his all encompassing conclusion that lying is always bad. Take my house rental dilemma (discussed here) as an example: looking for a place to rent, should I lie and say I am looking to rent a place for a year when I know fully well that I only need it for six months? By lying I know that I make myself an attractive renter to landlords; I also know I don’t stand much of a chance of getting a nice place to live at otherwise, if I was to tell the truth. So what should I do – be truthful and live in a dump for six months, or lie and be fully willing to pay the financial consequences of the lie? After all, I won’t be the first to ever break their leasing agreement; we call this experience of ours life because, amongst others, it’s ever changing. Circumstances change and so do leasing agreements; in the grand scheme of things lies may not matter that much. I will therefore argue, based on Harris’ own arguments from The Moral Landscape, that there can be no absolute judgement on lying. The real question is the maximization of well being, which – as with the case of my house rental dilemma – could, in one way or another, be better served by a lie. Unlikely, yet possible. Enough to make me doubt Harris' conclusion as I admire his style of arguing. Overall: Well written and thought provoking, Lying is well worth its admission price and its reader’s time. At 4 out of 5 stars, it leaves me waiting in anticipation for Harris’ upcoming [full length] book, Free Will.